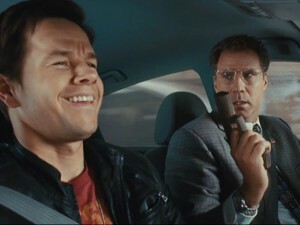 The action comedy The Other Guys, starring Mark Wahlberg (The Lovely Bones) and Will Ferrell (Elf), was released on DVD and Blu-ray on Dec. 14, 2010, from Sony Pictures Home Entertainment. In the buddy cop movie, which grossed $118 million in theaters, Wahlberg and Ferrell play mismatched NYPD detectives who are sentenced to a life behind the desk, living in the shadow of the two baddest cops on the force (Samuel L. Jackson of Iron Man 2 and Dwayne Johnson of Tooth Fairy). But when those guys go down, the other guys have to step up their game to solve one of the biggest crimes in years without killing themselves and destroying New York City. Adam McKay, director of Ferrell’s Step Brothers and Talladega Nights: The Ballad of Ricky Bobby, helmed The Other Guys. The film also stars Eva Mendes (The Bad Lieutenant: Port of Call — New Orleans), Michael Keaton (The Paper), Steve Coogan (Percy Jackson & the Olympians: The Lightning Thief), Ray Stevenson (Cirque du Freak: The Vampire’s Assistant) and baseball star Derek Jeter as himself. The PG-13-rated comedy is available in theatrical and unrated versions on DVD, each priced at $28.96. On high-definition Blu-ray, The Other Guys is available in a Blu-ray only version for $34.95 and a two-disc Blu-ray/DVD combo pack for $38.96. Both include the unrated and theatrical versions of the movie. Sony’s MovieIQ BD-Live feature with trivia about the film. The Blu-ray/DVD combo pack also includes a downloadable digital copy of movie playable on PC, PSP, Mac or iPod.